Northern Italian trumeau mirror of Neoclassic form. 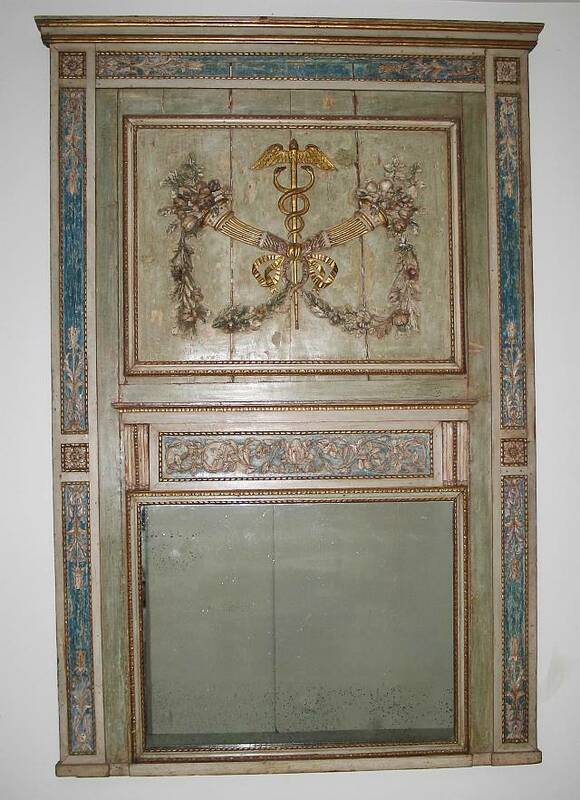 Plate is surrounded by architectural framing embellished with central gilt panel caduceus flanked by cornucopias and floral swags. Rinceau carving above plate. Original paint and gilt finish.